Dieses Los gehört zum Katalog 43rd Christoph Gärtner Auction - February 20th, 2019 - Europe, Germany, Picture Postcards des Auktionshaus Auktionshaus Christoph Gärtner GmbH & Co. KG. 1933, "Africa flight" leg to Berlin. 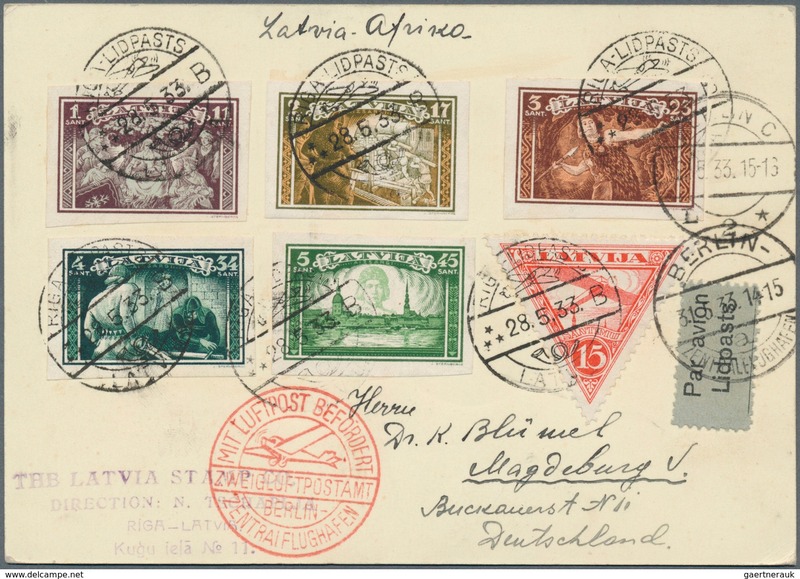 Postcard with better franking from RIGA-LIDPASTB B 28.5.33 via Berlin to Magdeburg. Different arrival and airmail confirmation marks. Scarce item. Christoph Gärtner made his hobby into his profession. 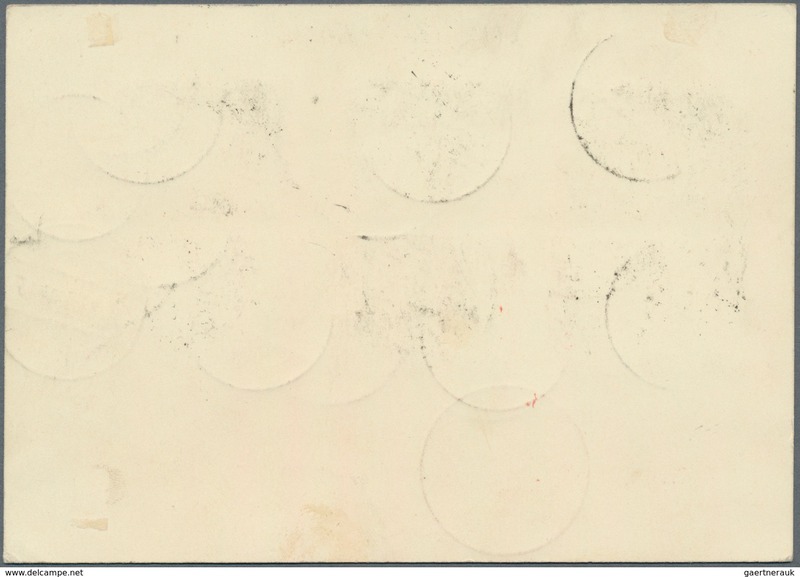 He started in 1984 and within two decades the Gärtner GmbH developed into a world leading mail order house for postal stationery and became a specialist for thematics and postal history. In april 2005 the idea to build a place where collectors, customers and investors from all over the world could meet, was realized. Since that time both, the Mail Order House and Auction House Gärtner, have been united on 2.700 m2 in the easy accessible building owned by Christoph Gärtner. Generous viewing and storage rooms, a private auction hall, enough parking space and an underground car park are available.